Ready to see one of the biggest names in music as we know it today?!? 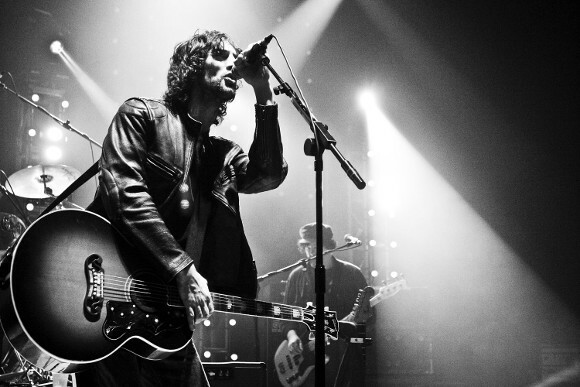 None other than Richard Ashcroft, former frontman of iconic rock band The Verve, will headline The Wiltern on Monday 3rd April 2017! Fans of The Verve or his solo work can hardly afford to miss out on this incredible show – grab your tickets early to avoid disappointment, as this will be a SELLOUT show!! Born in England in 1971, Richard Paul Ashcroft was once of the founding members, the lead singer and sometimes rhythm guitarist of The Verve from 1990 to their first split in 1999. Throughout their tumultuous career, rife with inner-band spats and struggles with addiction and drug abuse, Ashcroft forced a solo career, successfully releasing 3 top charting albums in the UK even in the wake of the hype for the Verve that after “Bittersweet Symphony,” never really quite died down – audiences were quite prepared to appreciate Paul Ashcroft’s skills as a musician with or without his band members. In 2010, he founded a new band, RPA & The United Nations of Sound, essentially a pseudonym for his first solo project without Peter Salisbury (drummer of The Verve) and released “These People,” in May 2016 to positive reactions from audiences and critics, described by NME as; “A satisfying return to Verve form that’s also a churning maelstrom of death, riots, revolution, terrorism and two-faced politicians”. Don’t miss out on your chance to see the man described by Coldplay as “the best singer in the world”!!! Get your tickets today! !